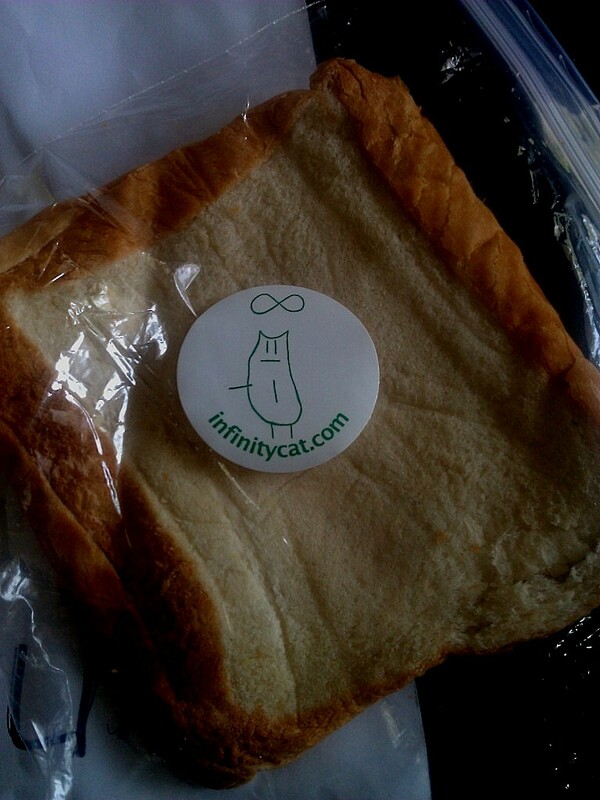 Free Infinity Cat Cheese Sandwich! Friday night in Nashville, as a deluge began about 9:15, the Rock Block turned into a creek with water almost to Restaurant and guitar store doors across the street when Psychic Hotline took to the stage at Exit/In to kick-off a ten year Birthday Bash for Infinity Cat Records, the ”for-real” Nashville Punk Rock label home to JEFF The Brotherhood, Heavy Cream, Diarrhea Planet and other Nashville originals. 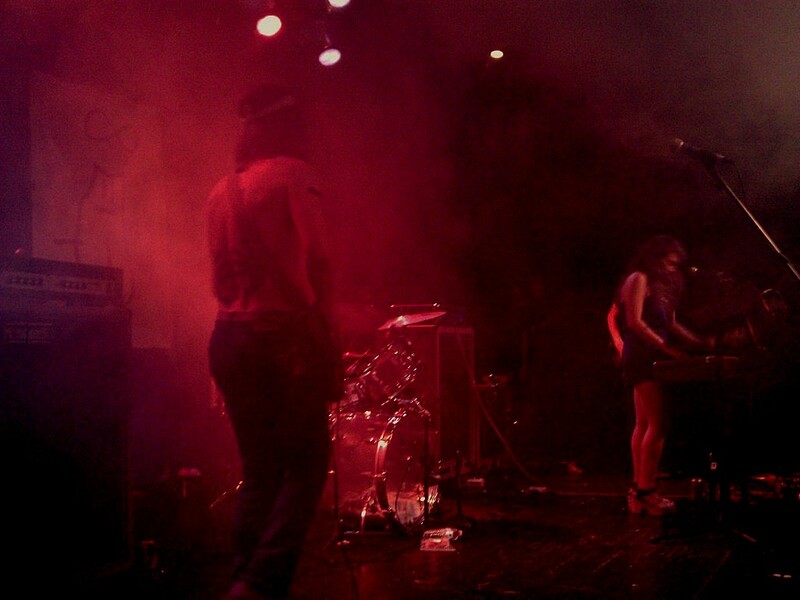 Psychic Hotline, fronted by Jessica McFarland ( Heavy Cream), not to be confused with the Ontario, Canada band, opened with a tight deadpan Buzzcocks / L7 set like a rapid fire Tommy gun. People were drying out and soaking up the sounds of Deluxin’, another Buzzcocks/ Television / Voidoids (Dad bands) with a somewhat Zach De La Rocha approach at the microphone-style unit fronted by Nathan Vasquez (former Be Your Own Pet) who knows how to put his scream on. Tristen (Gaspadarek)brought things into a more mellow mood with an Indie take on Americana which may be more attributed to what is coming out of East Nashville, sans-drummer Americana with a drum machine was interesting, but all things aside, Tristen has a great voice, great songs, great bass player (kind of real classic country walking style going on like Merle’s band, The Strangers) and has had some wonderful things said about her in Rolling Stone and American Songwriter. 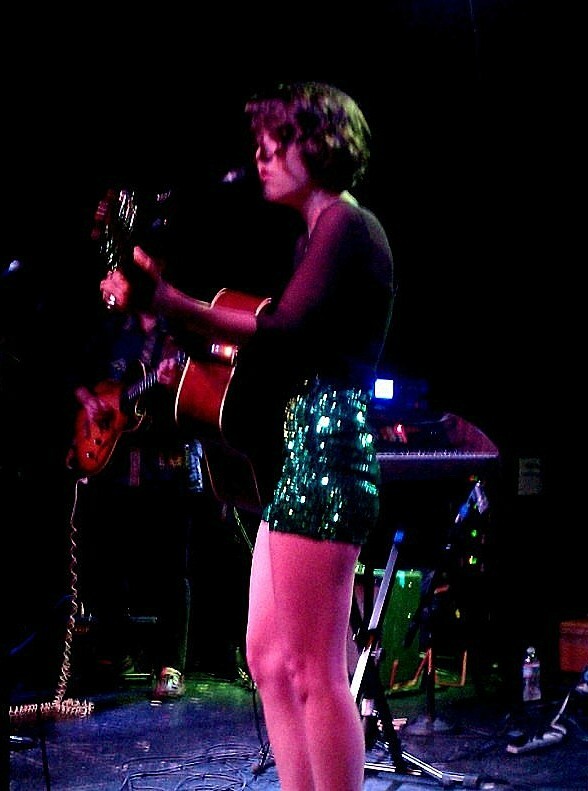 Tristen rocked the house in green sequined sixties style short shorts, doin’ a little dance-get down tonight style. This was ladies night for vocals. 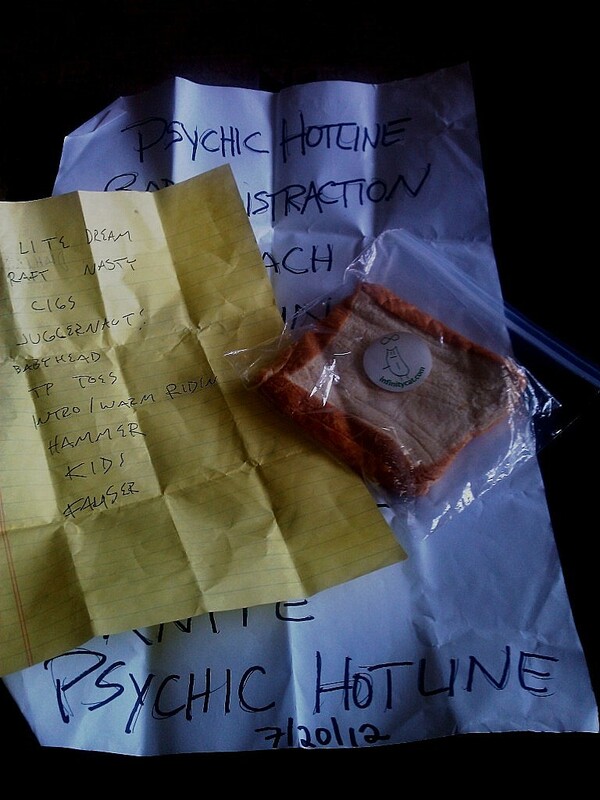 All I got was this cheese sandwich, Jessica’s Psychic Hotline setlist and Diarrhea Planet’s setlist. What’s it worth to you? Before Diarrhea Planet took over Exit/In, Robert Orrall, Jake and Jamin’s Dad (JEFF The Brotherhood) brought out a huge box of cheese sandwiches in plastic sandwich bags with Green Infinity Cat Logo stickers affixed and began throwing them out into the audience, this in turn, lead to spinning plastic bags being thrown around with the hefty sideways Frisbee-bean bag style tosses whizzing by everywhere. 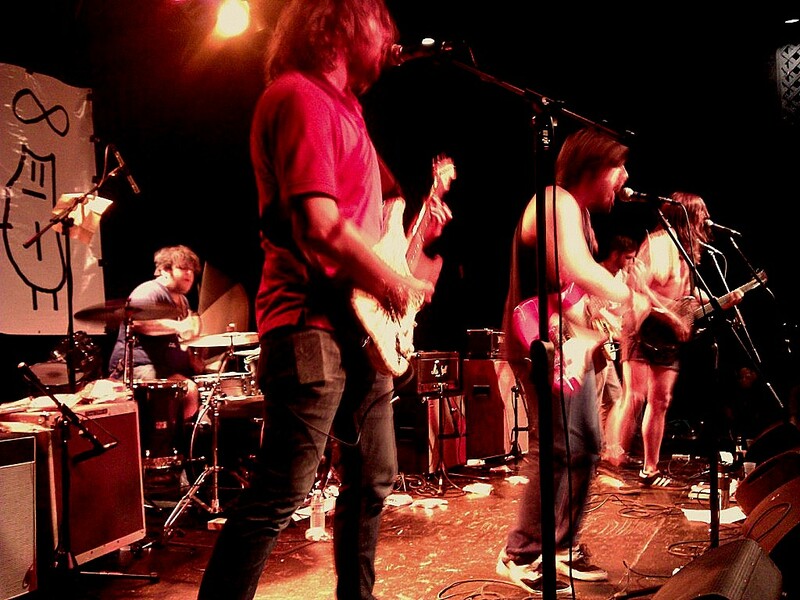 Diarrhea Planet pelted by sandwiches! When Diarrhea Planet hit the stage, the sandwiches started being aimed at the band with drummer, Casey, drumming like a sonic hedgehog with two Louisville Sluggers, taking some head and crotch shots. Casey could only laugh when it’s sandwiches. 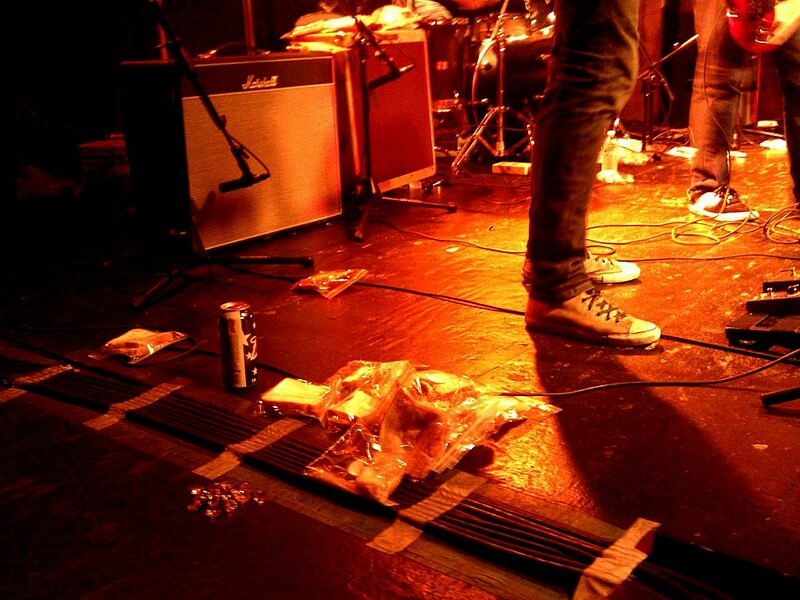 The 50 sandwich-filled plastic bags ended up back onstage when the four guitar (yeah, four, that’s one more than Lynyrd Skynyrd in a “Spinal Tap” my band is louder than yours kind of way) assault started. Stack-O-Sandwiches! No cats were harmed. One of the guitarists started stacking up the sandwiches on the side, only to hurl all of them back at the audience toward the end of the set. Diarrhea Planet originally started as a two-piece noise band out of Belmont University and is now kind of the Valiant Thorr of Indie Punk, throwing out all kinds of styles at the same time with a wall of Johnny Ramone, Randy Rhoads, John Frusciante and Malcom Young all hitting at once, with leads and interlocking rhythm going every which way. There were no lead breaks since any two might be playing lead at the same time. This is fun party music that kind of goes down like a Peelander-Z set meets the Beastie Boys. 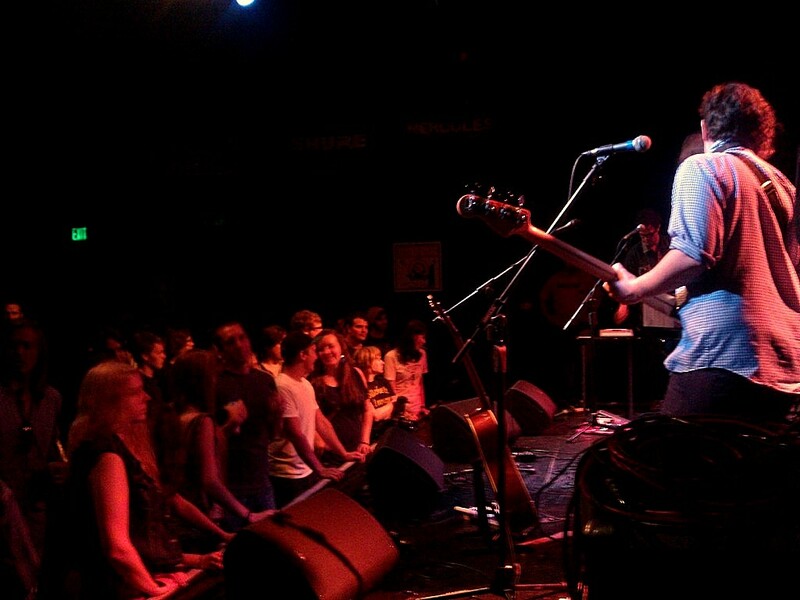 If you play guitar and you don’t have a good time at a Diarrhea Planet show, something is definitely wrong with you. Okay, I think this is one of my favorite Nashville bands now. 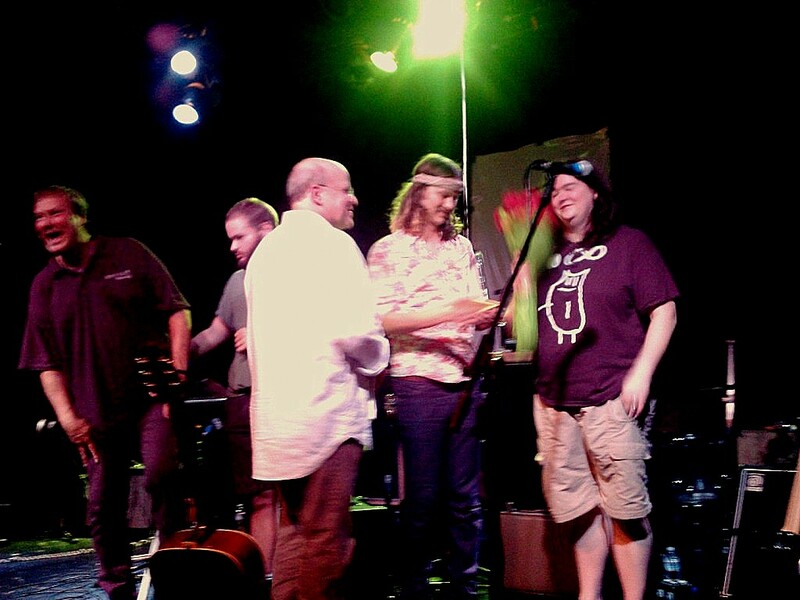 Before the final set of the night, Ronny Steine, Nashville Councilman-at-large, was joined onstage by Robert “Bob” Orrall, Jake Orrall (JEFF The Brotherhood, Skyblazer, Infinity Cat Records) and members of the Infinity Cat team to accept a plaque from the Nashville Metro Council with a lot of important “whereas” clauses, Resolution No. RS2012-339, “honoring Infinity Cat Recordings on its Tenth Anniversary as one of Nashville’s best independent labels.” A really unique turn of events; a Nashville Homegrown Indie Punk label turning ten years old that is on most every writer and magazine in the states Top 10 best Indie label list, having their very own day, July 20th, 2012, Infinity Cat Record Day, Nashville, Represent! 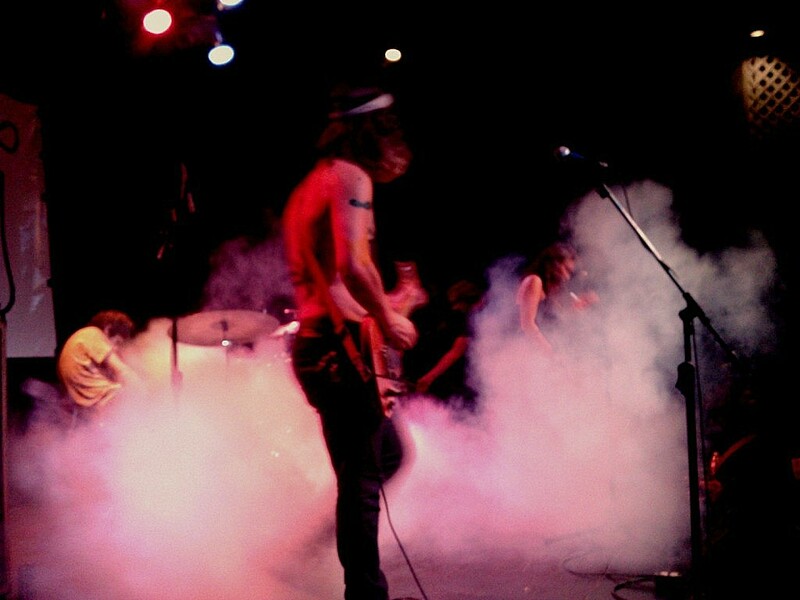 For the final big one of the evening, Jake and Jamin Orrall (JEFF The Brotherhood, if you don’t know by now) put back together a mid-2000 project, Skyblazer (possibly named for the early Nineties Sony video game? ), that they had with Lindsay (Cake Bake Betty) Powell. Skyblazer also released (never before released) the 2006 recording on Infinity Cat and it was available for the first time at the show on 12 inch vinyl. Jake and Jamim Orrall looking Through the Past darkly! 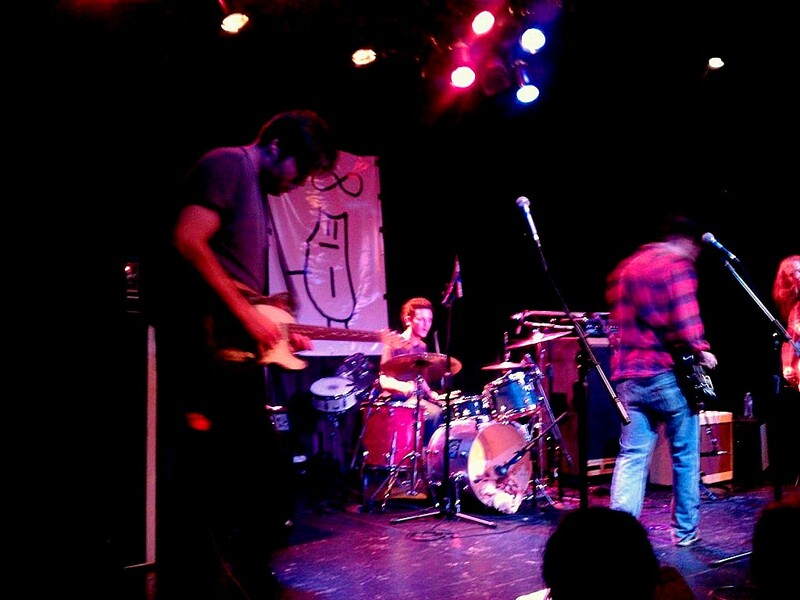 Jake’s guitar tone was nice and fat with trippy wha going into that Sunn Lead Concert head. 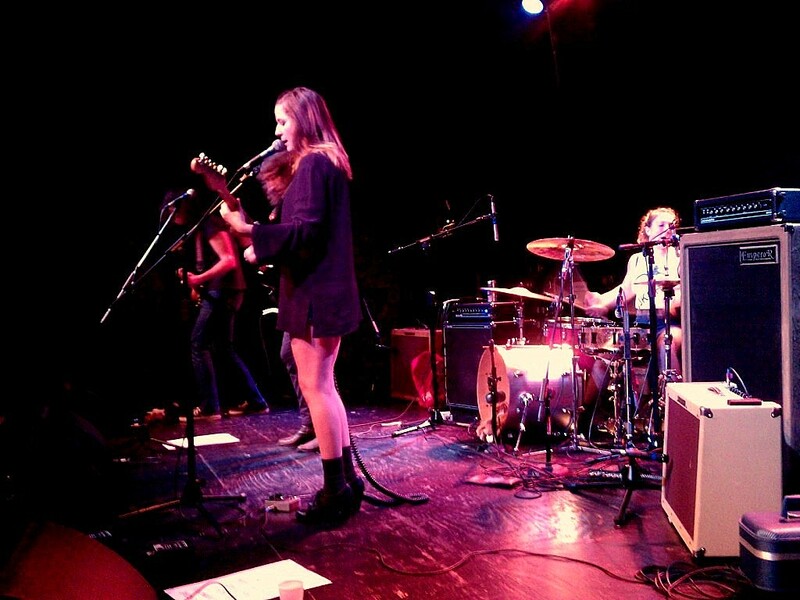 The four piece band did plenty of long stoner jams in the veins of early Hawkwind or Black Mountain (who were quite new in 2006)… especially like Black Mountain with the almost Jefferson Plane-ish twin harmonies of Jake and Lindsay. It was a fun set, plenty of heavy “Iommi” guitar, with some almost Hendrix channeling, Jake is really a soul surfer of a player. If Skyblazer had become the dominant thing, Jake and Jamin would have been on Jagjaguwar and touring with Black Mountain or even Swedish band, Graveyard nowadays. 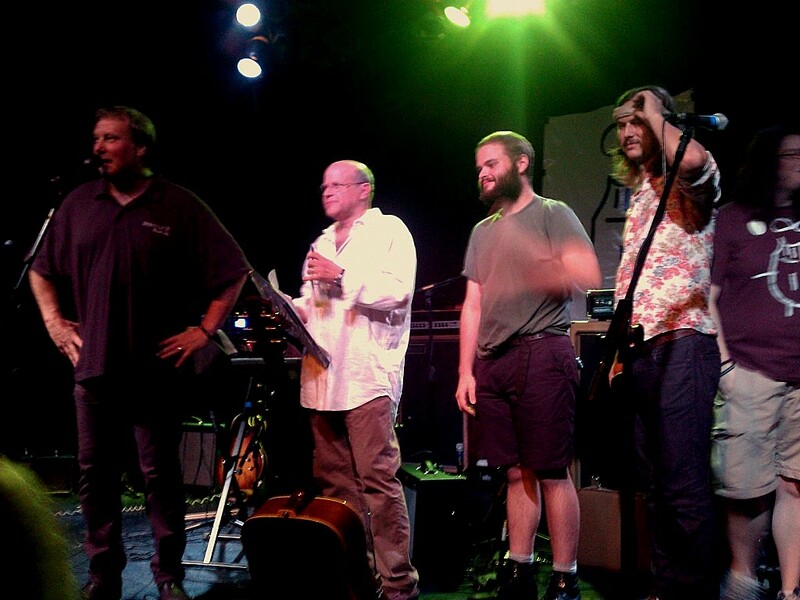 Funny how life is; the Orrall family is really helping to turn Nashville into Music City one great band at a time. 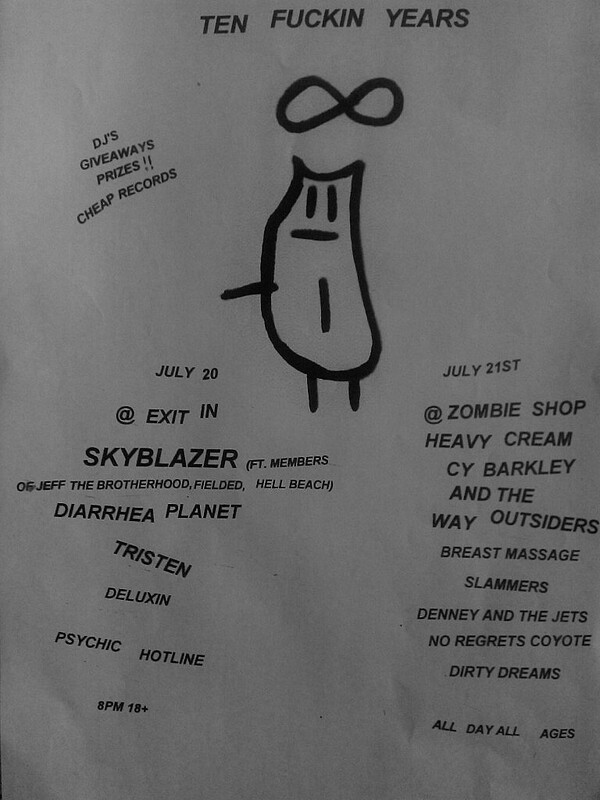 The Infinity Cat Records 10th Anniversary celebration continues Saturday Night in the shadow of the new convention center skyline at The Zombie Shop with Heavy Cream and Cy Barkley as two of the featured artists.